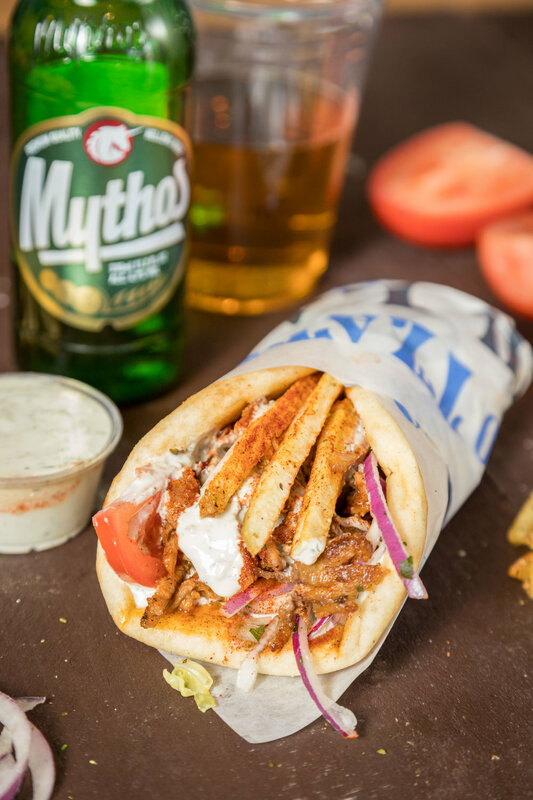 A Seasoned beef and lamb mix, cooked on a vertical rotisserie, served on a warm pita bread filled with fries, tomatoes, onions and tzatziki sauce. 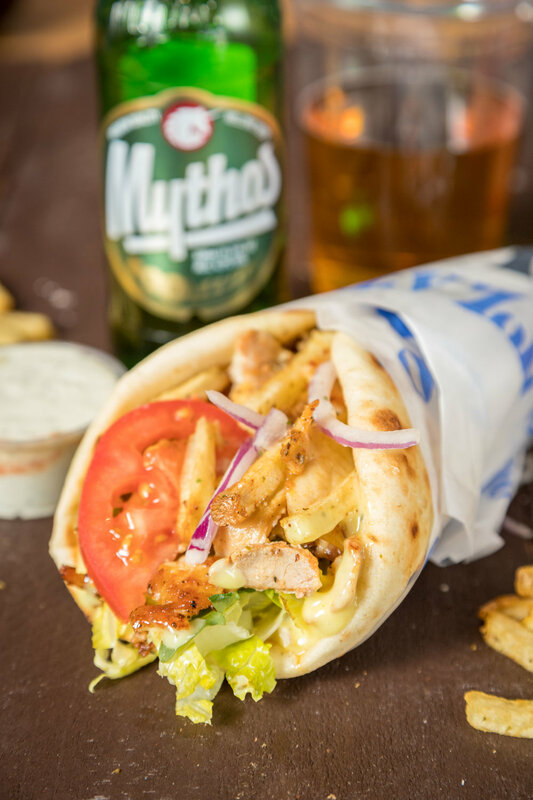 Thin slices of seasoned pork, stacked and cooked on a vertical rotisserie served on a warm pita bread filled with fries, tomatoes, onions and tzatziki sauce. Seasoned pork cubed and skewered on a stick, cooked over open flame and served on a warm pita bread filled with fries, tomatoes, onions, and tzatziki sauce. Seasoned chicken cubed and skewered on a stick, cooked over open flame and served on a warm pita bread filled with fries, tomatoes, onions, lettuce, and mustard sauce. Grilled zucchini and mushrooms served on warm pita bread filled with fries, tomatoes, onions, and tzatziki sauce. Freshly made falafels served on warm pita bread filled with lettuce, tomatoes, onions, and tzatziki sauce. 1/3 pound beef patty seasoned to perfection, with feta cheese served on a bun with lettuce, tomato, onions, and feta sauce. Fresh cut chicken, skewered and seasoned with Greek spices, cooked over open flame, served with french fries, Greek salad, tzatziki sauce and pita bread. 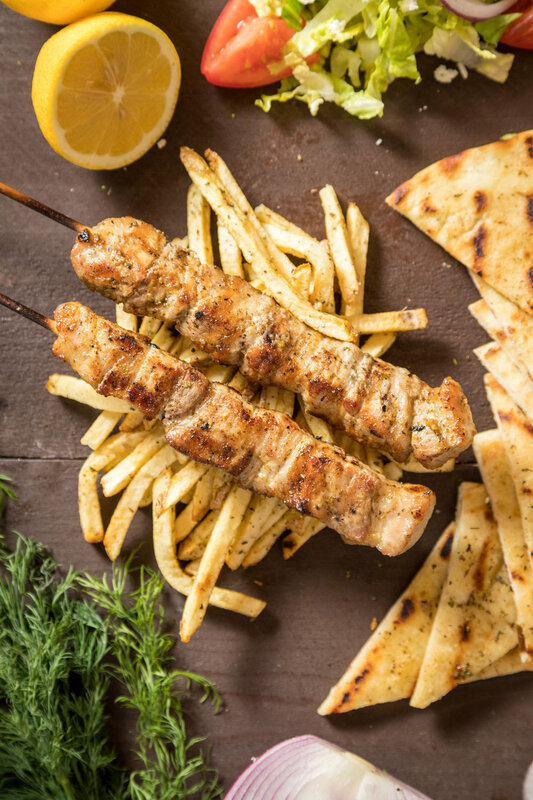 Fresh cut pork, skewered and seasoned with Greek spices, cooked over open flame, served with french fries, Greek salad, tzatziki sauce and pita bread. Any of our three gyro meats (beef/lamb, pork, or chicken) served with french fries, Greek salad, tzatziki sauce and pita bread. 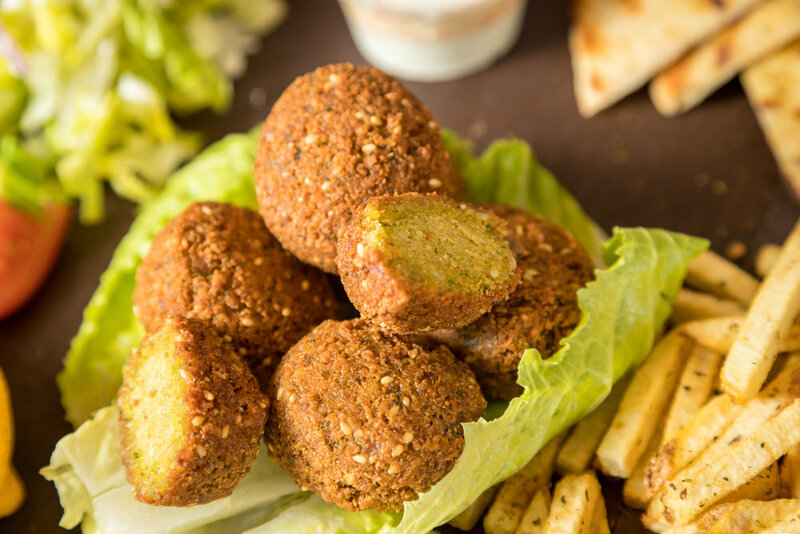 Freshly made falafels served with french fries, Greek salad, tzatziki sauce and pita bread. The famous Greek lemon soup made with orzo pasta and fresh eggs. Fresh spinach and arugula served with pita bread, dressed with our signature honey balsamic vinaigrette. Choose one of our gyro meats (beef/lamb, pork, or chicken) or souvlaki meats (pork or chicken) or Falafel. The traditional village salad, tomatoes, cucumbers, red onions, peppers, kalamata olives, feta cheese, house dressing. Crispy Romaine hearts with fresh scallions, dill, shredded feta cheese, extra virgin olive oil dressing with lemon zest. Order delivery from your online device HERE!